Always be prepared. 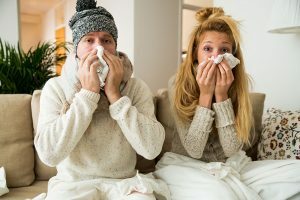 It is often hard to predict how bad the flu season will be. We always recommend prevention with an annual immunization. It is best to get your flu vaccine before the onset of the season. At Internal Medicine & Pediatrics we have flu clinics to make this as convenient as possible. Call our office in the fall to get more information on dates and times. © 2019 - Internal Medicine & Pediatrics of Tampa Bay, All Rights Reserved.